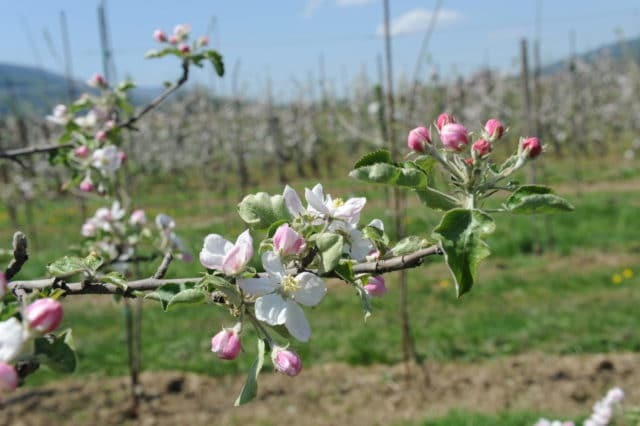 Recently the Maribor's neighbouring municipality of Selnica ob Dravi (Selnica by the Drava River) opened a special trail that takes business guests to Maribor through apple orchards and farms. Through the financing from the European Agricultural Fund for Rural Development (EAFRD) »Europe investing in rural areas« the local associations and groups around Selnica ob Dravi and Maribor arranged an educational path on fruit growing. The path, which is around 4,5 kilometers in length, is intended for cyclists and hikers and is called the »Apple Trail«. Walking and cycling along the Apple Trail is suitable for groups as well as for individuals as the trail runs along the flat fields and does not require physical effort. It is perfect for a creative break or incentive programme for business or congress guest to Maribor. On the trail, the walkers as well as cyclist discover local suppliers (fruit growers, goat farmers, loggers, …). The trail can also include tasting of local products together with being introduced to the local culinary delights. However, the trail’s stops are not exclusively dedicated to orchards and farms, but the visitors also stop by an apiary, an open-air museum in a hayrack, at the wool spinning mill SOVEN, which is one of a kind in the whole Slovenia, and at the Technical museum of the Hydroelectric Power Plant Fala which in 2014 received the award for the protection of the Slovenian heritage, to name a few. The trail provides a delicious, active, fun, and educational trip through tradition and history of the region.